Open Source Hybrid Cloud Computing Softwares has the dual advantage of being Free and giving the option to adapt the transition to Private Cloud Platform. We talked about Hybrid Cloud Computing before and definitely about Open Source Cloud Computing. Now combine both to make it Open Source Hybrid Cloud. Yes, Open Source Hybrid Cloud is that easy, but itself has some points those we also mentioned before. Open Source Hybrid Cloud Computing has been easily affordable but it never means that Open Source Hybrid Cloud Softwares has made the Hybrid Cloud and Private Cloud easier – both from management part and technical setup part. With good hands, it will take a day for only proper configuration customized for you. Furthermore, if you disliked it, want to shift to Private Cloud, it will make the situation difficult, specially if there are active exposed applications like WordPress. It is not simple server migration, it is practically a whole datacenter migration. So these points are important to understand. 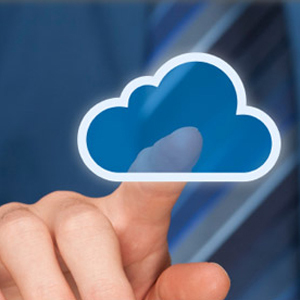 OpenStack allows IT organizations to configure cloud that will enable them to provide services as a service provider. This approach differs from the IaaS virtualization management offered by Red Hat Enterprise Virtualization, which is more directly focused on the use within the firm. OpenStack and Red Hat serve different models of IT architecture and is practically not comparable Open Source Hybrid Cloud Computing Solution. Red Hat, now the provider of open source solutions now has Open Source Hybrid Cloud Computing Solutions too. Eucalyptus has open source software for building AWS-compatible Open Source Hybrid Cloud. Other options are Nimbula, Gigaspace etc., the later two are a bit different than native OpenStack. OpenStack as Open Source Hybrid Cloud Software has the advantage of using DevStack to test yourself even on your laptop. Cite this article as: Abhishek Ghosh, "Open Source Hybrid Cloud : The Practical Options," in The Customize Windows, December 6, 2012, April 23, 2019, https://thecustomizewindows.com/2012/12/open-source-hybrid-cloud-the-practical-options/.